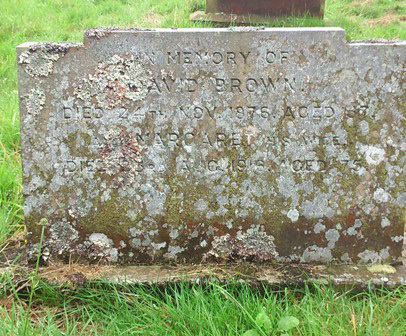 In Memory of David Brown. Died 24th Nov. 1876. Aged 37. And Margaret his wife. Died 23rd Aug. 1916. Aged 75.